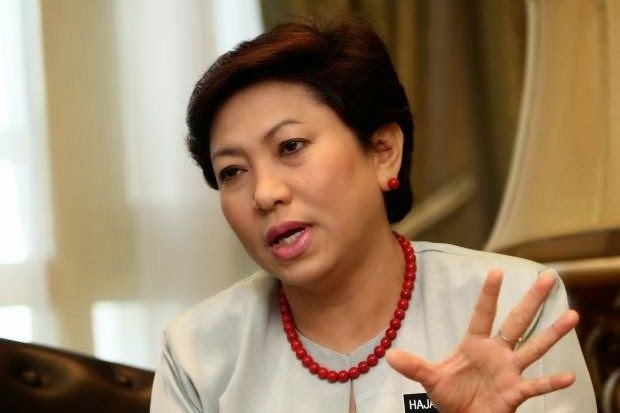 JOHOR BARU: Young Malaysians are being declared bankrupt because they spend more than they earn, says Minister in the Prime Minister’s Department Nancy Shukri (pic). This trend was worrying because most of them had just started working but already had debt problems, she added. “This younger generation are supposed to be the next leaders. Instead, we have those who are already facing financial difficulties at a very young age,’’ she told a press conference after opening an information programme for young people at the Home Ministry complex at Setia Tropika here yesterday. Quoting figures from the Insolvency Department, she said there was an increase in the number of young Malaysians being declared bankrupts in the past five years. She said there were nearly 22,000 cases last year, an increase from about 13,200 in 2007. Within the first six months of this year, more than 12,300 young Malaysians had been declared bankrupt. They include 3,680 women. “On the average, 70.22% of the cases are men,” said Nancy, adding that most of them have outstanding debts of RM30,000 or more and could not afford to settle their dues. She said the high bankruptcy rate among Malaysians at a young age mainly resulted from defaulting on instalment payments on car, housing and personal loans. Nancy said there had been celebrities who were also declared bankrupt but most of them declined to seek assistance from the Insolvency Department. She added that aside from the department, those who have problems managing their finances could seek advice from the Credit Counselling and Debt Management Agency.